Garden while sitting down on the job! He feels alone and trapped. You see, Mike’s a gardener who cannot get on his knees to do a garden any more. 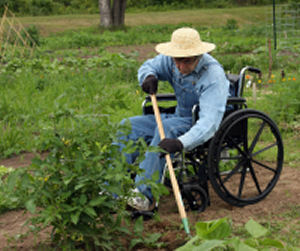 He really wants to have a garden but does not have the body strength to do all the physical work. He was having coffee last week with his friend, Marcia, and telling her about his troubles. He told her how the cost stops him from building a taller raised bed. Mike told Marcia he felt like giving up. Marcia told Mike she used to feel exactly the same way. 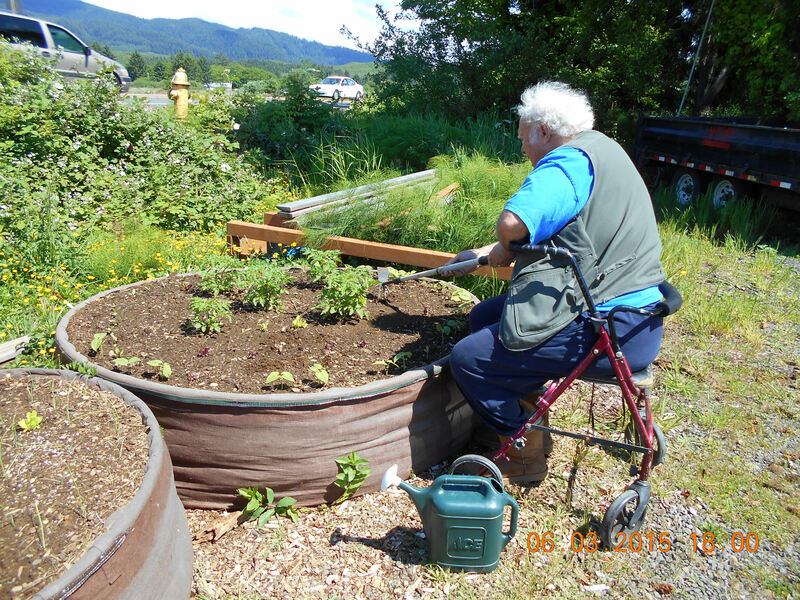 In fact, when Marcia was in a similar situation, she felt like most gardeners, as they get older, many give up gardening because of the work. She also felt shortages of time, energy and money are a big hurdle to building a taller raised bed. But then Marcia told Mike she found “A two foot high Raised Fabric Bed”, and it changed everything for her. Marcia discovered having a Raised Fabric Bed allowed her to sit down while doing her gardening. In fact, “A two foot high Raised Fabric Bed” helped Marcia with a lot more than just that. She explained to Mike how it helped her to make better root structure for the plants, keep pests at bay like gopher and moles, quickly warms in the spring and releases excess heat in the summer, shaves a week off the vegetative growth cycle, and turns any deck or patio into a garden area. Marcia also told Mike she started seeing results with her two foot high raised fabric bed” in less than a day – and it costs just $45. 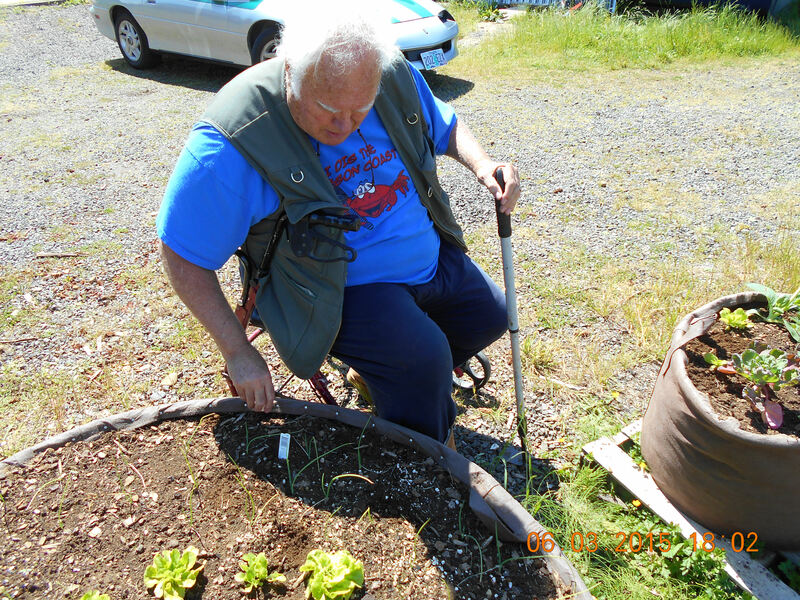 After Marcia finished sharing her experiences with Mike, he realized that he could act right away and have a no dig, no tilling garden. And he could sit down while doing all his work in the garden. You will see a 200 Gallon, 50 inch Diameter, No Dig, Air Pruning, Raised Fabric Bed. See it at the Sustainable Living Center located at 6349 South Highway 101 in Taft area of Lincoln City.